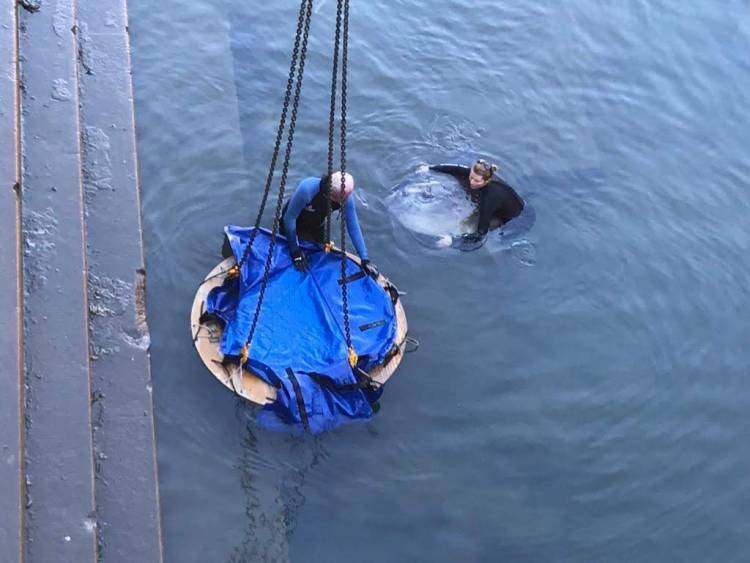 A team from South Africa's Two Oceans Aquarium pulled off a successful rescue mission on the weekend when an ocean sunfish became marooned in a dry dock at the V&A Waterfront in Cape Town. 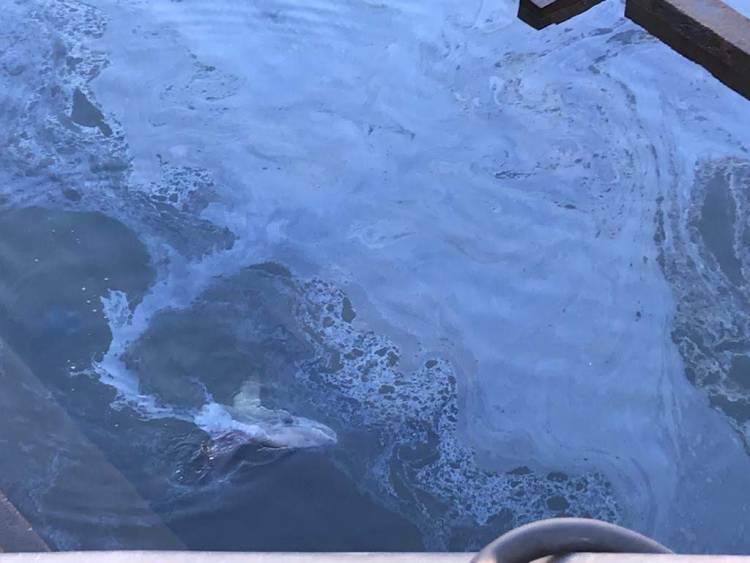 While draining the dry dock last Saturday (March 2), workers noticed the mammoth fish flapping about in the shallows and quickly alerted authorities who called in the experts. 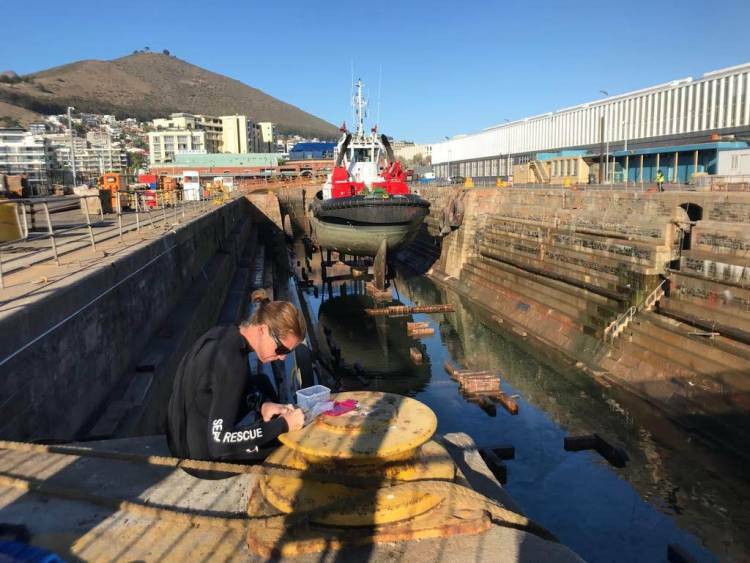 Staff at the Two Oceans Aquarium have scooped their fair share of Mola molas out of the port’s canals and dry docks, as the ocean wanderers do sometimes stray into the shallows in search of food. The rescue team were well-prepped for the huge task at hand. When the team arrived, the water level was still to high for them to reach the stranded fish. 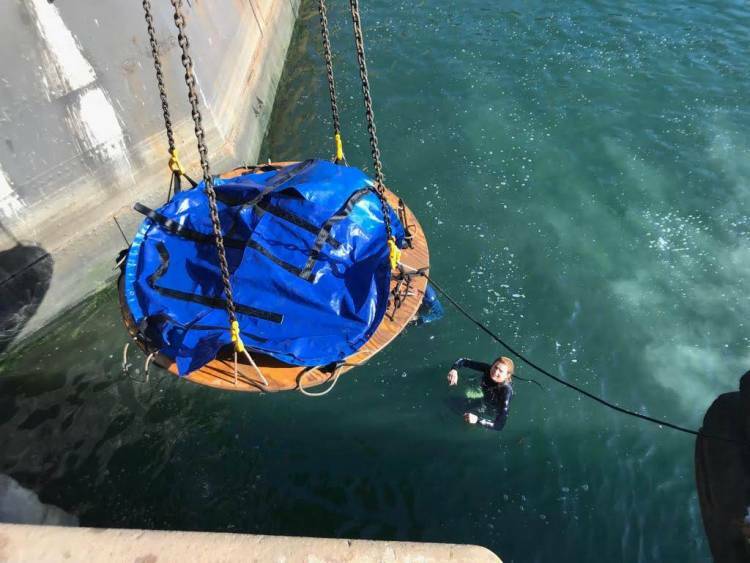 Fortunately, port authorities were willing to help by draining the water enough for the rescuers, and suspending dry-dock operations until the following morning when the rescue could be carried out. 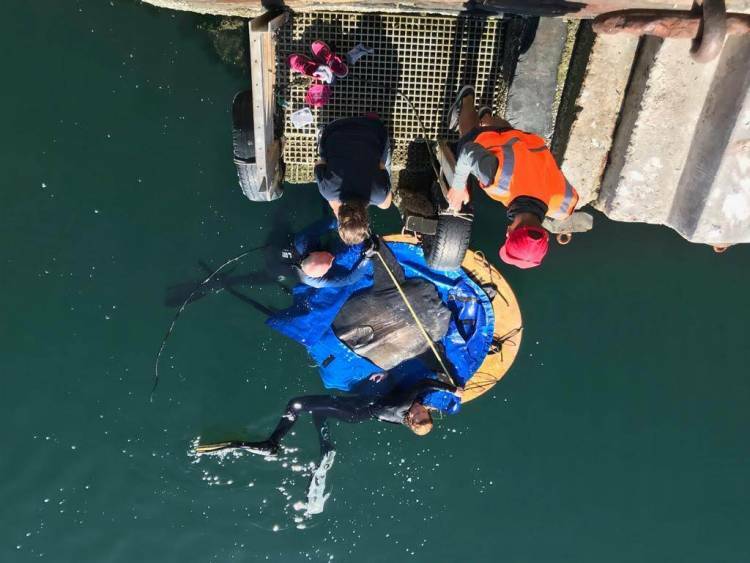 The dock team offered their services and a crane operator hoisted the sunfish-laden stretcher out of the dry dock and into the harbour basin. To add to the growing body of research on these charismatic creatures, Two Oceans Aquarium Technical Specialist Vince Calder and Curator of Exhibits Claire Taylor collected fin clippings, DNA samples, size measurements and a collection of skin parasites (sunfish can be home to as many as 40 different species at once!) before releasing the fish. 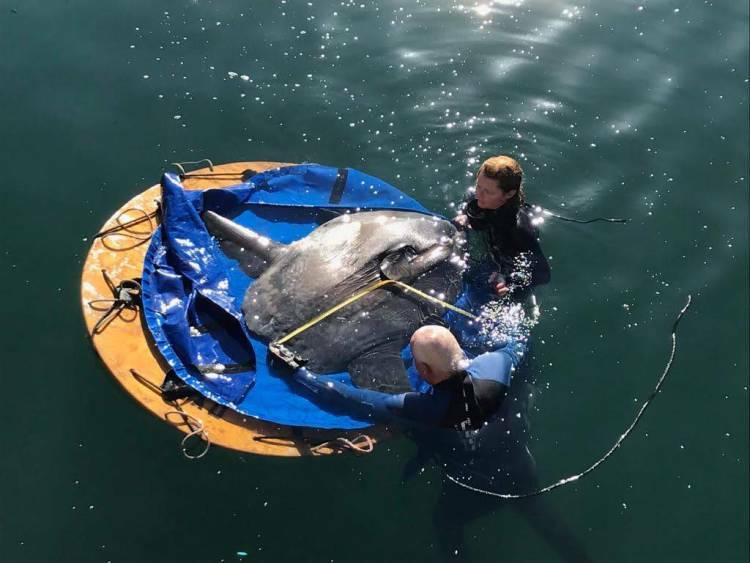 To ensure that the sunfish found its way back to deeper waters, Taylor swam alongside the animal until it regained strength and looked set to sail to safety. Despite being trapped in shallow waters for some time, the sunfish appeared in “near-perfect condition”. 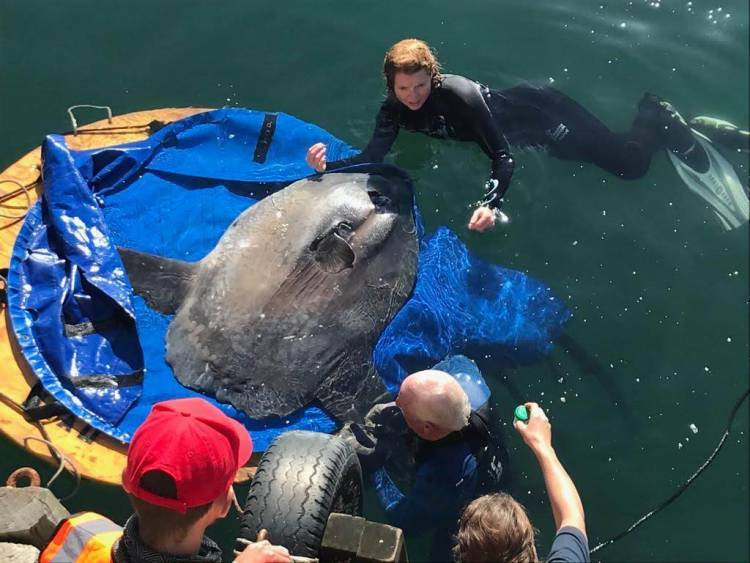 “I must say, it was amazing - a huge collaborative effort, even though it was such a small team these were people who really wanted to assist and save this sunfish,” says Two Oceans Aquarium Curator Maryke Musson. 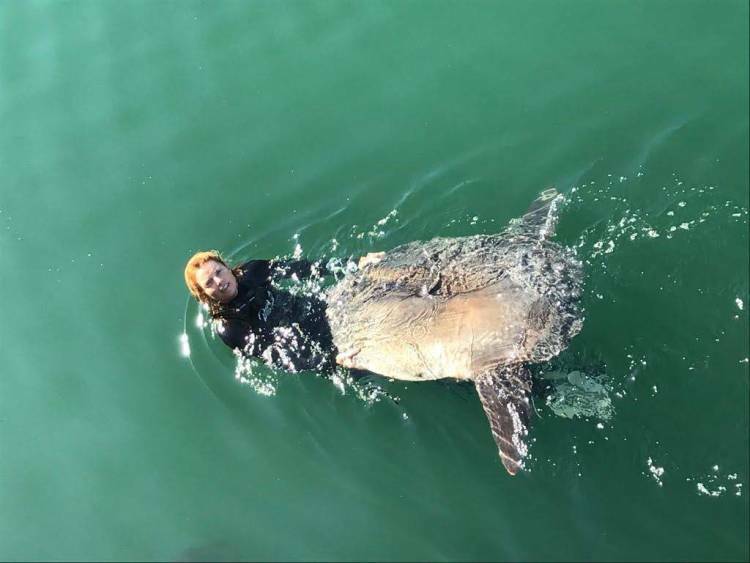 All five known species of sunfish have been spotted in Cape Town waters, however, the ocean sunfish (Mola mola) is by far the most commonly seen. In the summer months, these ocean giants regularly stray into local harbours, and they sometimes run into trouble. "They start appearing in October/November and are often sighted right through to May/June the following year. Unfortunately they are often injured or disorientated," explains the aquarium. This might be a new chart topper!